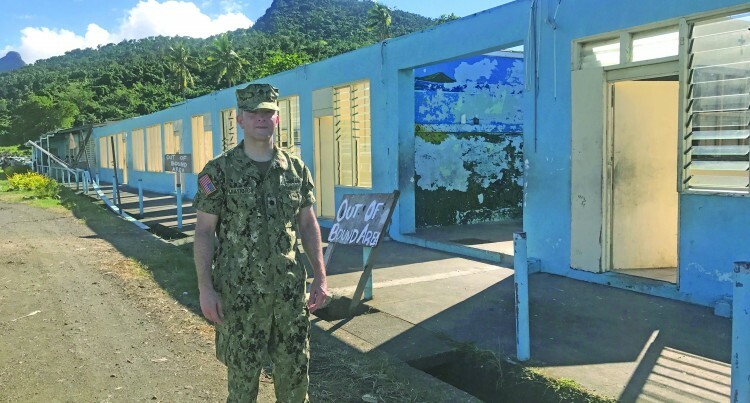 United States Embassy defence attache Commander Constantine Panayiotou said they are working with the Director of Peace Support Operations Lieutenant-Colonel Pacolo Luveni on developments at the Black Rock Camp in Votualevu, Nadi. He said they are going to refurbish a multipurpose training facility. “We have about US$1.7 million (FJ$3.50 million) worth of equipment coming in for Black Rock Camp and that will be the generators, construction equipment, forklifts to help the camp get going,” he said. Commander Panayiotou said USA would also invest US$4 million (FJ$8.24 million) in a level-two deployable field hospital. “That will start flowing in later this year and it will come in stages,” he said. “We will first assemble at Black Rock and we will do an exercise with the Republic of Fiji Military Forces to train them on how to use the field hospital and turn that into a deployable capability that can support Fiji’s peacekeeping operations in the Middle East. Commander Panayiotou said the Australians were also involved with the Black Rock development, building a warehouse facility. “I think it’s important to note that what we are doing this year is a kind of coincidence,” Commander Panayiotou said. “It coincides with a very important year for Fiji, which is the 40th anniversary of their peace support operations. He said something that he had been impressed by since he got to Fiji was not only hearing the stories from Fijians in the RFMF, but also from his colleagues around the world that the Fijians have been on peacekeeping operations for 40 years. “In missions where other countries wouldn’t go, the Fijians went, in missions where the other countries left because it was too dangerous, the Fijians stayed,” Commander Panayiotou said. Commander Panayiotou added that they had made it a priority to step up side-by-side and support the Fijians with their training in preparing them for the Peace Support Operations. “Their reputation precedes them and the capability that they bring in peace keeping and we want to support that,” he said.